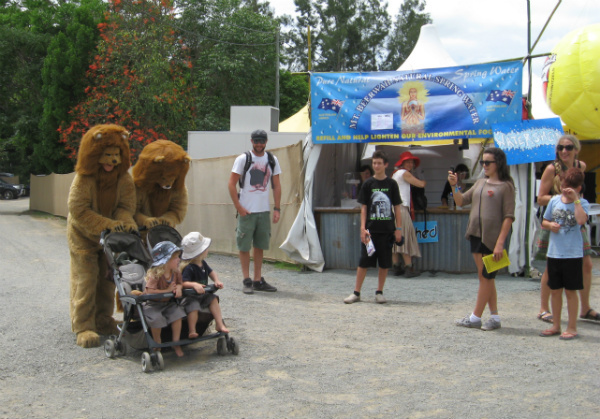 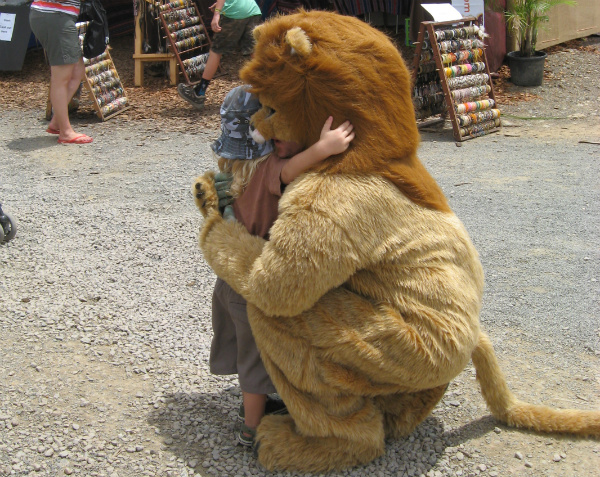 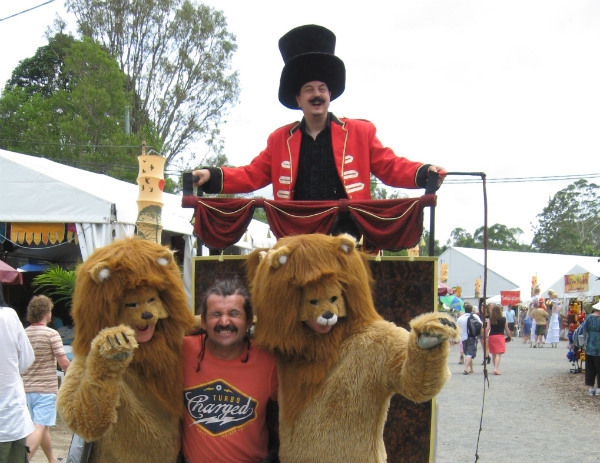 Two troublesome, talking lions – Lionel and Ritchie run around winning people over with their antics. 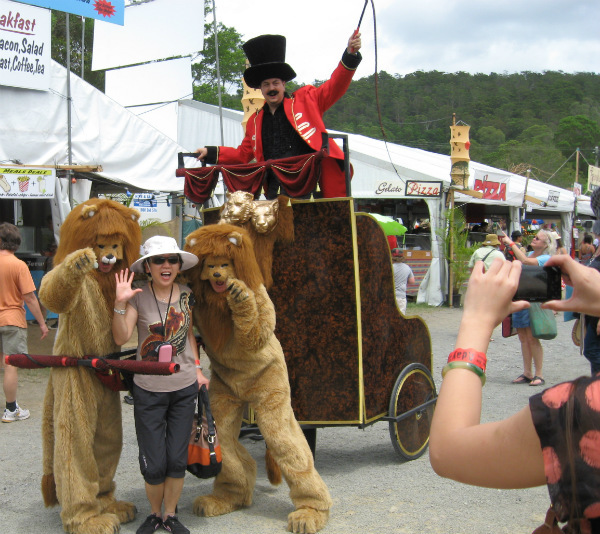 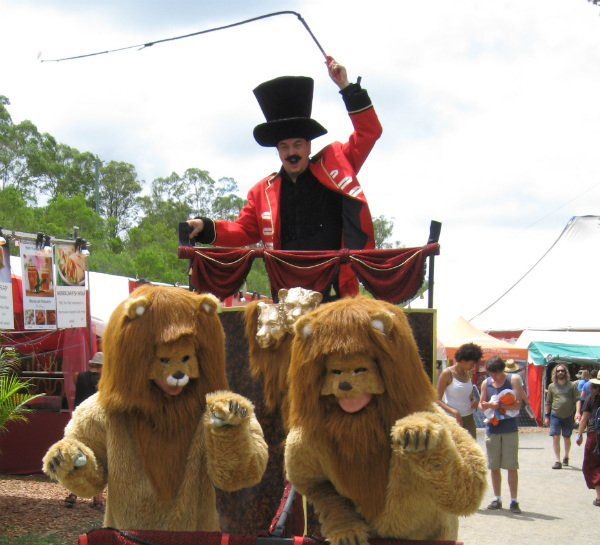 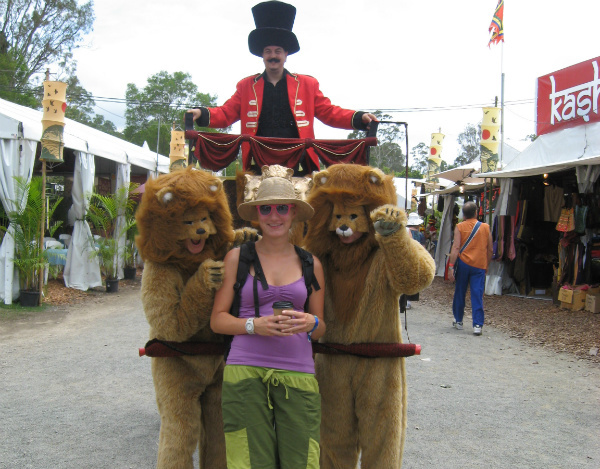 Their whip cracking, stilt walking lion tamer spends all his time trying to contain the mayhem. 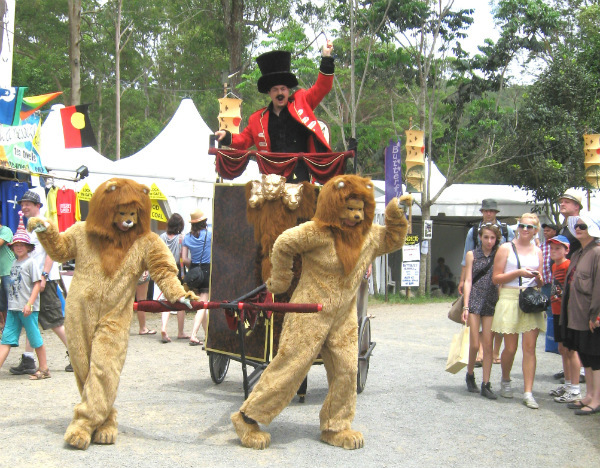 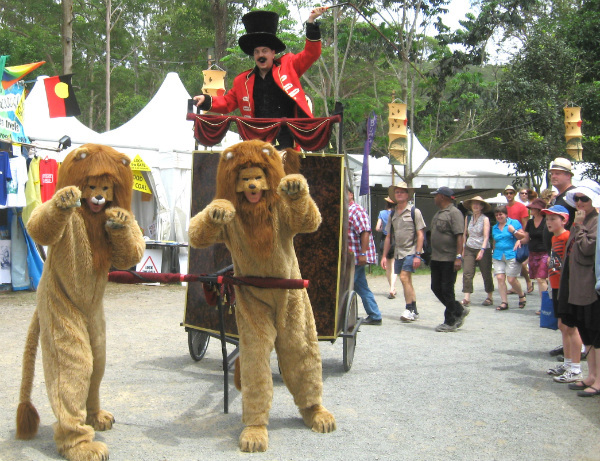 These roving performers bring the fun to your festival with this highly engaging comedic act. 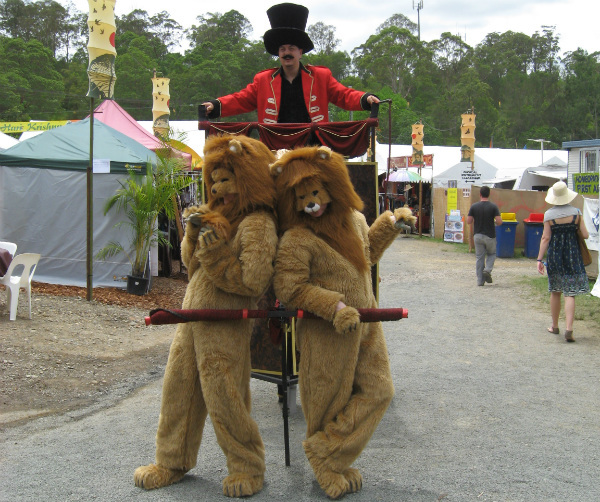 Also available with a lion drawn, giant sized chariot for the lion tamer to ‘ride’ in. 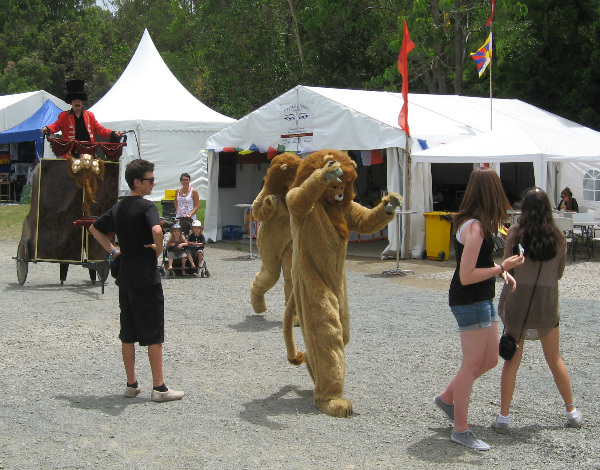 Contact us for more information, including rates.